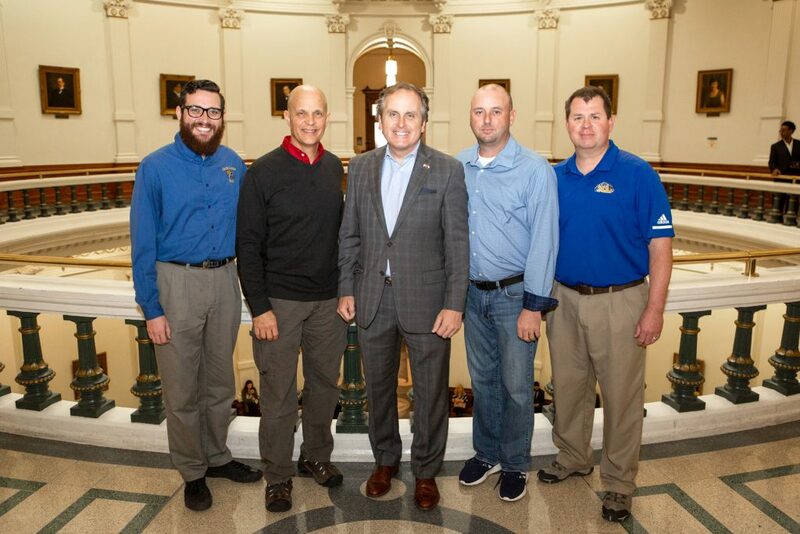 Texas Representative Gary VanDeaver, front center left, and Senator Bryan Hughes, front center right, welcome the North Lamar High School Band, directors Justin Caldwell, Randy Jones, and Jason R. Smith and NLHS Principal Clay Scarborough to the Texas Capitol. 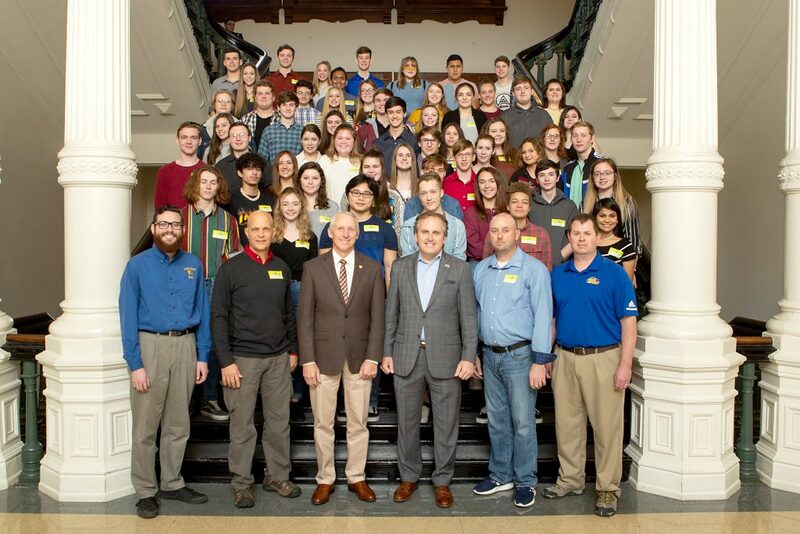 The North Lamar High School Symphonic Band visited the Texas State Capitol on its way to San Antonio for the Texas Music Educators Association performance in February. Representative Gary VanDeaver invited the band to the capitol while attending a performance in Texarkana on January 17. Rep. VanDeaver and Senator Bryan Hughes congratulated the band on a successful year and presented the group a Texas flag that had flown over the Texas Capitol building. Texas Senator Bryan Hughes, center, takes a moment with NLHS Band Directors Justin Caldwell, Randy Jones and Jason R. Smith and NLHS Principal Clay Scarborough while touring the Texas Capitol.